With cohorts running monthly, your education fits your schedule. Enrollments open a few weeks before each class begins—if enrollments aren’t open, just sign up for the waiting list to be notified when they are. You’ll fill out an online profile detailing your availability and the skills you want to develop. Your student advisor will use that to match you with a mentor. You’ll never have to reach out to an anonymous support desk. Your personal student advisor will understand your goals, solve your problems, and support you every step of the way. Diverse perspectives create better learning outcomes. 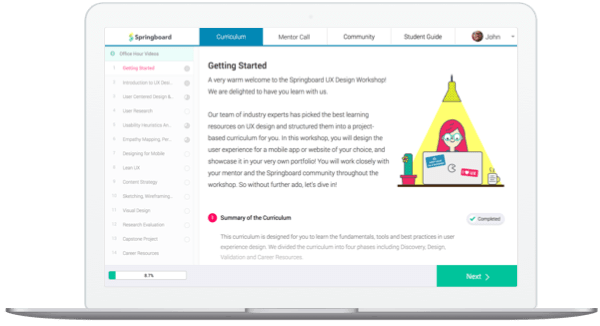 Our learning materials are curated by industry experts from the best sources, and are constantly updated to reflect new technologies and trends. Apply your lessons to real-world scenarios through case studies, problem sets, and project-based assignments. 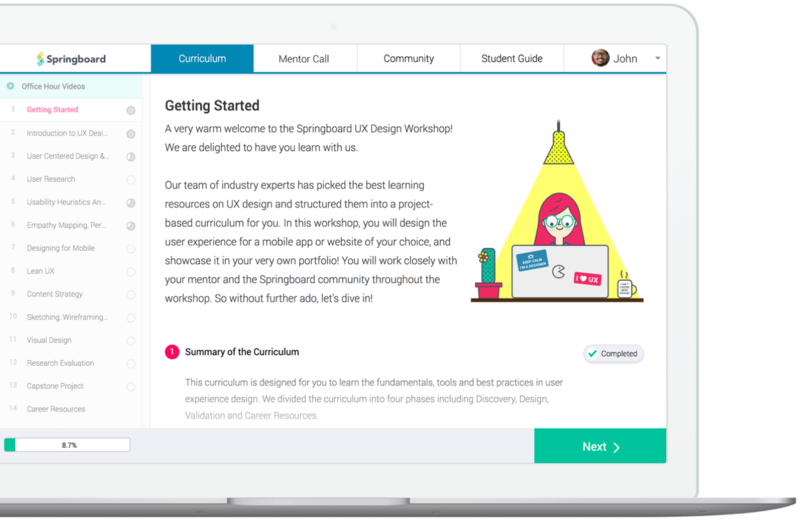 You'll review concepts and get project feedback on your weekly mentor call. Your mentor will also help you with career planning, job search advice, and interview tips. You and your mentor will set and review weekly learning goals to keep you moving forward and on track to complete your course. With your mentor, put your finishing touches on your final course project, then present it to them to show off the skills you’ve learned. Your mentor will present you with a certificate of completion—the perfect finishing touch to display on your resume and LinkedIn profile.